London, UK–Sirenum, the leading UK provider of cloud-based workforce management software to the temporary staffing industry, is proud to announce its autumn trade show schedule, which represents the company’s most substantial such investment ever. The North London-based company actually kicked off its autumn schedule a bit early last week by sponsoring the FirstGroup’s Old Oak Common Open Day to benefit Place2Be, a leading children’s mental health charity. This annual event takes visitors inside the Old Oak Common depot in West London, one of the oldest and most active depots in the UK rail network. As the FirstGroup is one of Sirenum’s longest running clients, we were thrilled to be one of the sponsors. But it’s October when things will really pick up. Sirenum will be exhibiting for the second time at the Recruitment Agency Expo 4-5 October at booth F29. This show is the largest of its kind in the UK and is a great opportunity to meet agencies and industry representatives from the midlands. 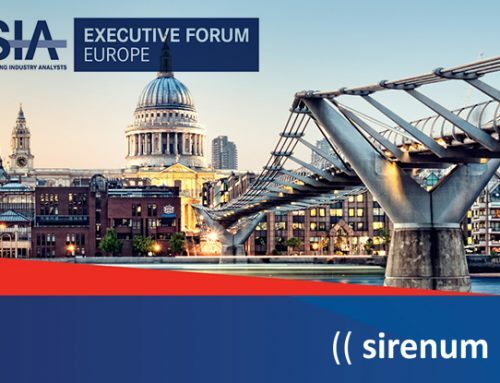 Sirenum had a very successful presence at the Recruitment Agency Expo in London in February and is thrilled to continue to work with the team behind these events. The following week, 11-12 October, Sirenum will be sponsoring Bullhorn Live in London for the first time. The show,Bullhorn’s largest globally expects to receive over 1,000 attendees for the first time in its history. Sirenum partners with Bullhorn to deliver an integrated front- and mid-office experience for our temporary agency clients. Skipping ahead to November, we will be exhibiting at The Web Summit for the first time as a member of the exclusive BETA program, which recognises start- and scale-ups looking to get to the next level. The Web Summit, which is Europe’s largest and most important technology marketplace, takes place in Lisbon during 6-9 November. 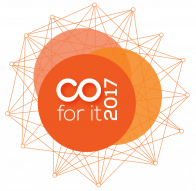 The same week, Sirenum is thrilled to be an invited guest at CO For It 17, the annual recruitment technology event from Connexys, to be held this year on 7 November in Nieuwegein, The Netherlands. Connexys is the leading Applicant Tracking System provider on the Salesforce platform based in Continental Europe. Also that week, Salesforce executives will be out in force at Salesforce’s Dreamforce, which is the largest technology conference in the world. Look out for Founder and CEO Benjamin Rubin and Director of Sales King Cheung in San Francisco! Finally, our co-founder Joshua Pines will be featured on a panel at Hacktrain 4.0 on 24 November. The panel will explore the impacts and benefits of accelerators in the transportation industry. Sirenum has completed two accelerators, both in 2016, HackTrain in London and Dynamo in Chattanooga, TN. For more information about Sirenum solutions for dynamic workforce management, please visit sirenum.com/solutions. For more information on Sirenum marketing and events, please contact Joshua Pines, co-founder and director of marketing and corporate development.